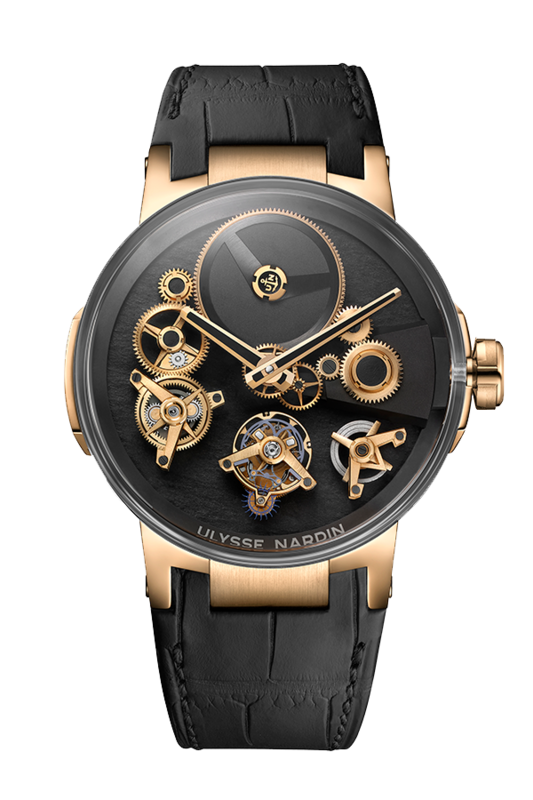 Ulysse Nardin Executive Tourbillon Free Wheel spins watchmaking convention on its head so all components may mysteriously linger on the dial. 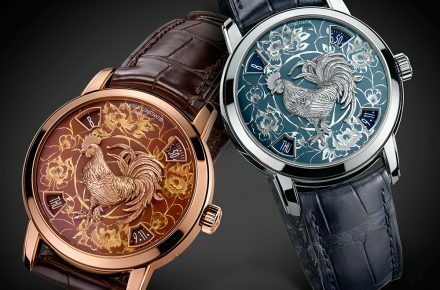 Ulysse Nardin has breathed literal meaning into the term ‘Time Flies’. 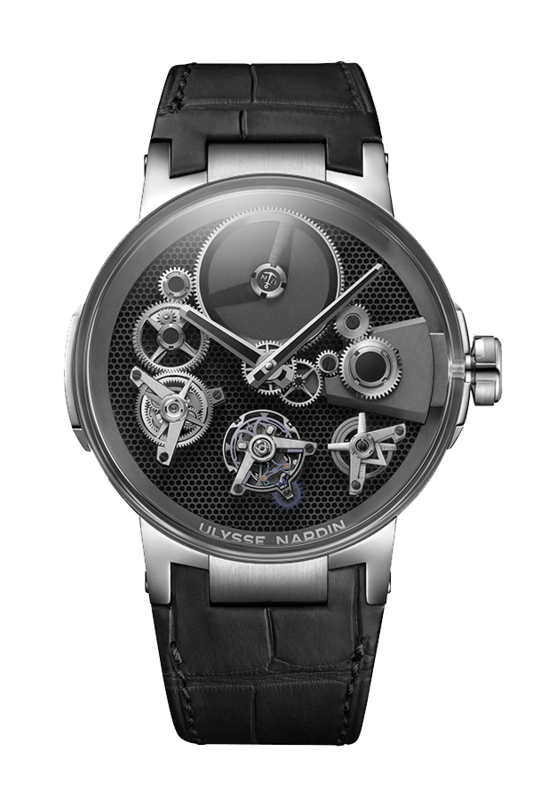 Take one look at the Ulysse Nardin Executive Tourbillon Free Wheel, and you’ll know what we mean. 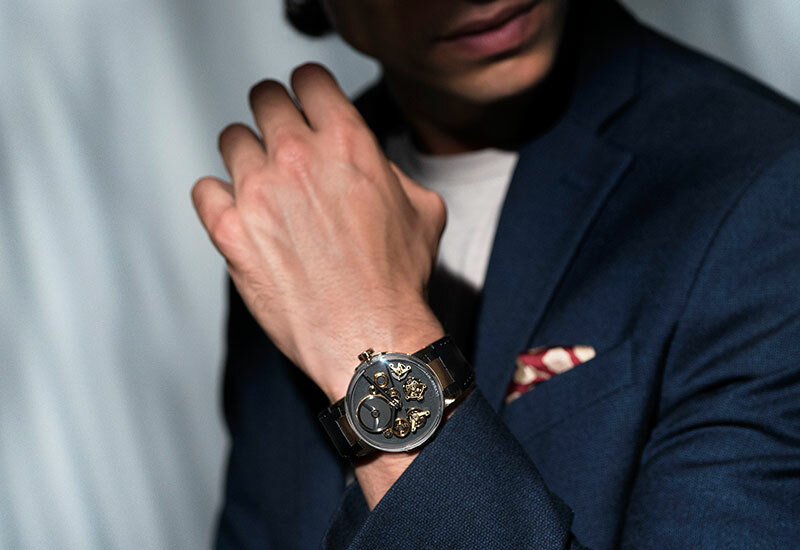 Against a pitch black dial, skeletonised components seem to float freely under a box-domed sapphire case. 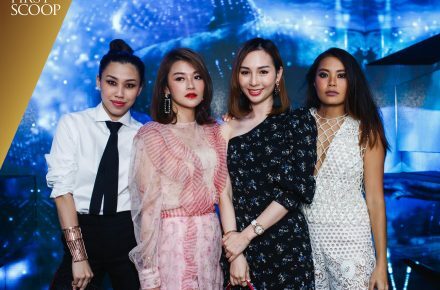 Those boomerang-looking pieces? 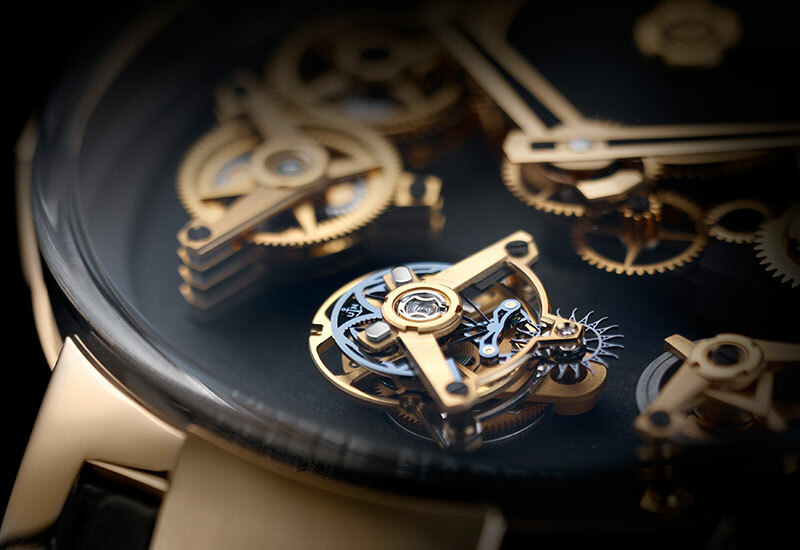 Tourbillon bridges and 7-day power reserve indicator (at four o’clock), complemented by solid-outlined hour and minute indicators. 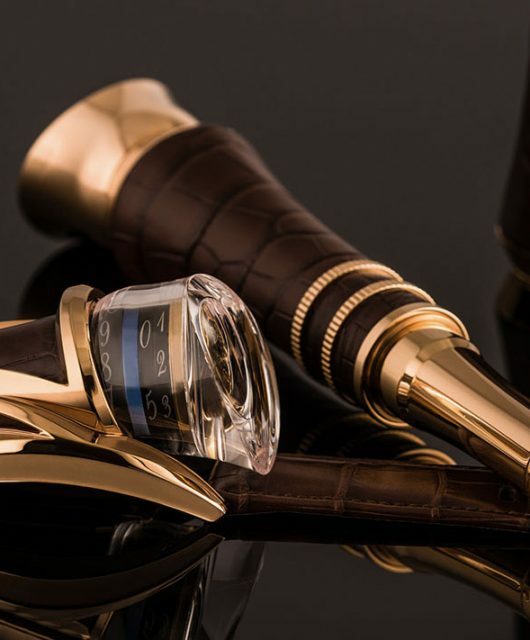 Ulysee Nardin wants you to pay close attention to this sapphire glass box, too – countless hours of testing went into perfecting that precise, polished finish. Then there are the gear trains commonly seen on skeletonised watches. Just how are they defying gravity in such a manner? 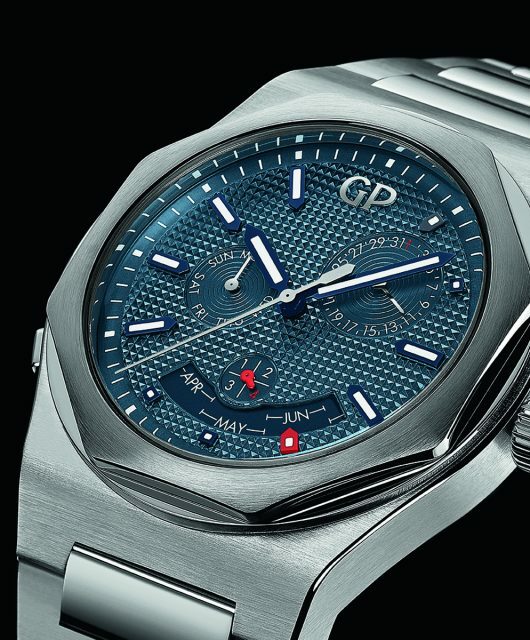 Well, if you turned the sapphire caseback over, you would notice a void where the gear trains are typically most visible. 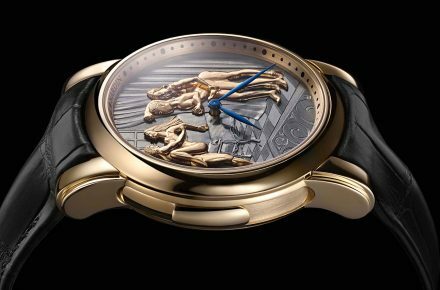 That’s because the Ulysse Nardin Executive Tourbillon Free Wheel flips watchmaking convention on its head, shifting all pared-down components to the dial side. 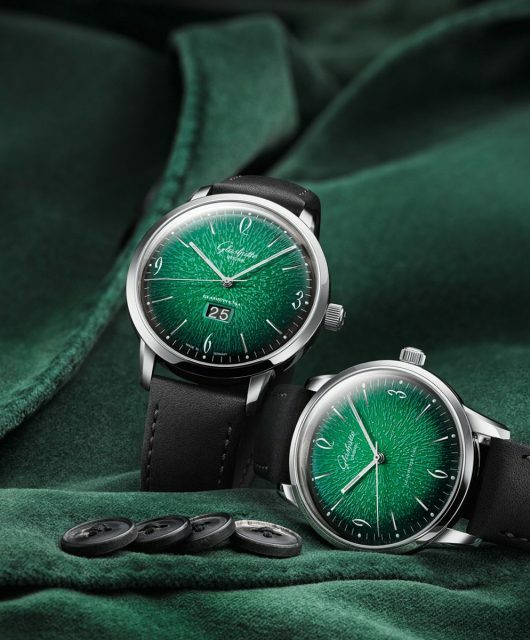 Two versions have been released, each with a matte, carbon leather alligator strap. We’re partial to the black-and-gold, though the understated white gold version holds its own rugged appeal. 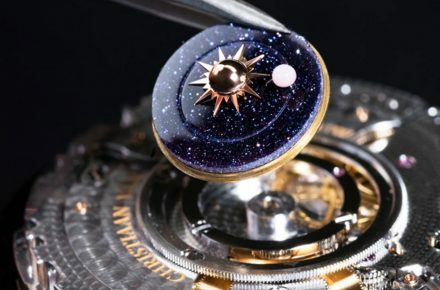 The tourbillon itself is the Ulysse Anchor Escapement, which replaces the traditional Swiss lever escapement system with low-friction silicium in place of metal or rubies. 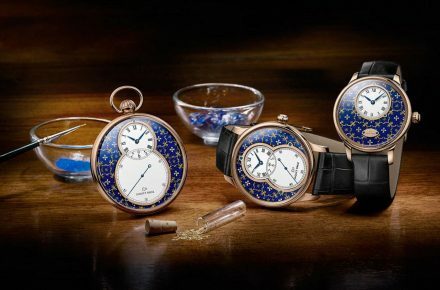 Powering all this horology magic is the new UN-176 calibre, straight from Ulysse Nardin’s La Chaux-de-Fonds location. Also pleasing is the fact that this model is a full-run production launch, which means it would be easier to get your hands on. 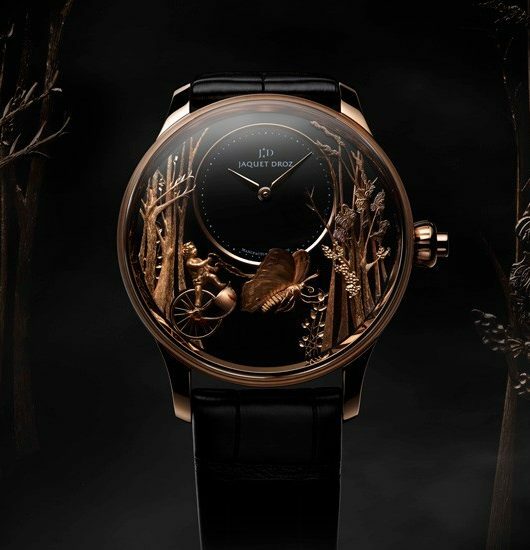 For more, visit the official Ulysse Nardin website.